For centuries, happiness was exclusively a concern of the humanities; a matter for philosophers, novelists and artists. In the past five decades, however, it has moved into the domain of science and given us a substantial body of research. This wellspring of knowledge now offers us an enticing opportunity: to consider happiness as the leading measure of well-being, supplanting the current favourite, real gross domestic product per capita, or GDP. There are many variants of this question. Instead of happiness, the question may be about your overall satisfaction with life, you might be asked to place yourself on a “ladder of life”. The common objective is to deliver an evaluation of the respondent’s life at the time of the survey. We can use the term “happiness” as a convenient proxy for this set of measures. In measuring happiness each respondent is free to conceive happiness as he or she sees it. You might think, then, that combining responses to obtain an average value would be pointless. In fact, there is now a substantial consensus that such averages are meaningful. A major reason for this is that most people respond quite similarly when asked about things important for their happiness. In countries worldwide – rich or poor, democratic or autocratic – happiness for most is success in doing the things of everyday life. That might be making a living, raising a family, maintaining good health, and working in an interesting and secure job. These are the things that dominate daily lives everywhere; the things that people care about and which they think they have some ability to control. It means that comparisons among groups of people are possible. Psychologists have investigated the reliability and validity of the measures and economists have studied the nature and robustness of the results. The data has withstood a thorough vetting. 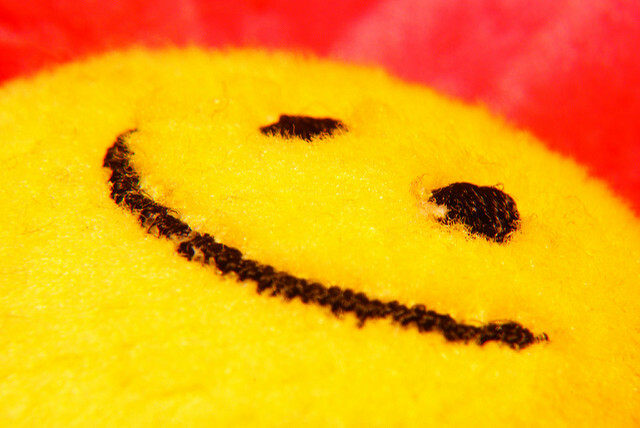 More support comes from the fact that many countries now officially collect happiness data. The same relationships are found between happiness and a variety of life circumstances in country after country. Those who are significantly less happy are typically the unemployed, those not living with a partner, people in poor health, members of a minority, and the less-educated. Smile by LawPrieR. CC-BY-2.0 via Flickr. I have to hold my hands up for one finding that has raised some doubts about the data’s meaningfulness. My work on happiness and income, published in an article more than 40 years ago, looked at the links between happiness and income. It found that surveys conducted at a point in time (so-called cross section studies) discover the expected positive relation – happiness increasing with income. However, in studies of happiness and income over the longer term (the time series relationship) the correlation is not there. This might seem contradictory, but the difference in the cross-section and time-series results turn out to be explicable once we recognise that there are psychological mechanisms which significantly affect feelings of well-being. This might be social comparison or the tendency for people to adapt, at least partially, to major positive or negative events. 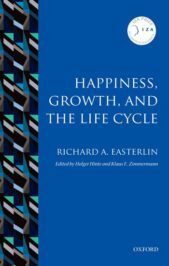 Some recent critics of this so-called Easterlin Paradox report a longer-term relationship between happiness and income that is positive. These results, however are based on data spanning a relatively small number of years, usually a decade or less, and pick up the short-term relationship – the ups and downs of happiness (and indeed GDP) that accompany economic booms and busts. So we can see that happiness and GDP can give quite different pictures of the trend in societal well-being. But why prefer happiness to GDP? There are several reasons. Happiness is a more comprehensive measure of well-being. It takes account of a range of concerns while GDP is limited to one aspect of the economic side of life, the output of good and services. Perhaps the most vivid illustration of this can be seen in China where, in the two decades from 1990, GDP per capita doubled and then redoubled. Happiness, however, followed a U-shaped trajectory, declining to around the year 2002 before recovering to a mean value somewhat less than that in 1990. Economic restructuring had led to a collapse of the labour market and dissolution of the social safety net, prompting urgent concerns about jobs, income security, family, and health – concerns not captured in GDP, but which significantly affect well-being. The evaluation of happiness is made by the people whose well-being is being assessed. For GDP, the judgement on well-being is made by outsiders, so-called “experts.” There are some who think of GDP as an objective measure of the economy’s output. In fact the numerous judgements involved in measuring GDP have long been recognised. Should the unpaid services of homemakers be included? What about revenues from drug trade or prostitution? Should the scope of GDP be the same for the US and Afghanistan? For the US in 1815 and 2015? In short, GDP is not a simple or “objective” measure of well-being. Happiness is a measure with which people can personally identify. GDP is an abstraction that has little personal meaning for individuals. Happiness is a measure in which each person has a vote, but only one vote, whether rich or poor, sick or well, old or young. Everyone in the adult population counts equally in the measure of society’s well-being. Happiness tells us how well a society satisfies the major concerns of people’s everyday life. GDP is a measure limited to one aspect of economic life, the production of material goods. The aphorism that money isn’t everything in life, applies here. If happiness were to supplant GDP as a leading measure of societal well-being, public policy might perhaps be moved in a direction more meaningful to people’s lives. A version of this post originally appeared on The Conversation. Featured image credit: Jumping for joy, by Kilgarron. CC-BY-2.0 via Flickr. Richard A. Easterlin is University Professor and Professor of Economics, University of Southern California, Los Angeles, USA. He is the author of Happiness, Growth, and the Life Cycle.